Sessions will run for 60 minutes. 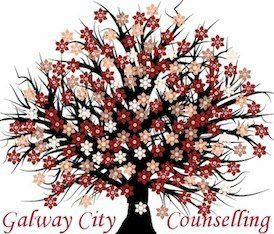 If you are unable to pay the full €60 there is room for negotiation with the therapist for low cost counselling. Therapy is different for everyone and therefore the length of time someone chooses to stay in therapy also varies. Short term therapy will typically be ten sessions and long term therapy is very much dependent on each individual person. Yes, sessions will be the same time each week. Yes, best practise suggests that weekly therapy is the ideal in supporting the psychotherapeutic process. Should you need to cancel a session you will need to contact your individual therapist, giving them 24 hours notice. If you are unable to give the 24 hour notice then the full fee will be charged. Should I shop around before choosing a therapist? Therapy is a very personal experience and it is important that you feel comfortable with your therapist. This may mean that some people will need to make enquiries with more than one therapist, before feeling that they have found someone whom is best suited to their individual needs. No, at this stage we do not provide online counselling. Counselling and psychotherapy are often used interchangeably. Typically counselling may refer to shorter term supportive or issue focused therapy, whereas psychotherapy refers to longer term therapy and deeper exploration of problems. However, there is much overlap between the two and more and more it is recognised that what is important is a trusting therapeutic relationship where a person feels listened to with empathy and non judgement. What are the reasons for coming to Counselling/Psychotherapy? People come to therapy for many reasons. It’s hard to have a definitive list that encapsulates everything but reasons can include depression, anxiety, stress, relationship issues, childhood trauma, bereavment, experiences of bullying, sexual identity issues to name but a few.